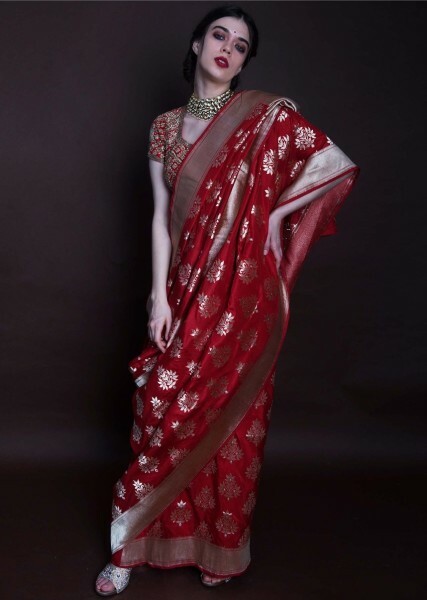 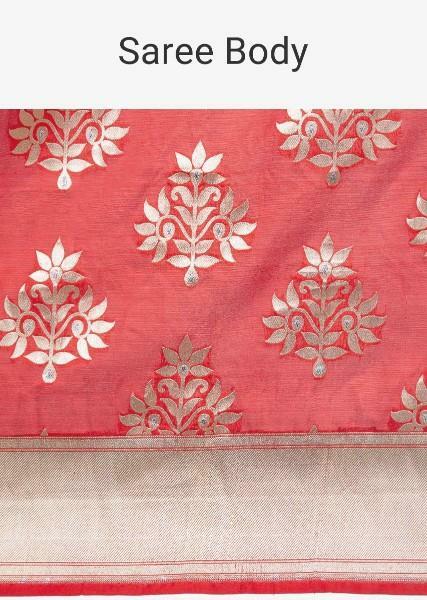 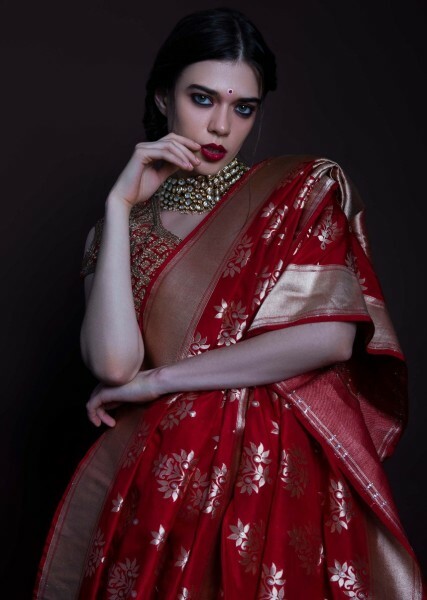 Stunning red saree featuring in brocade silk. 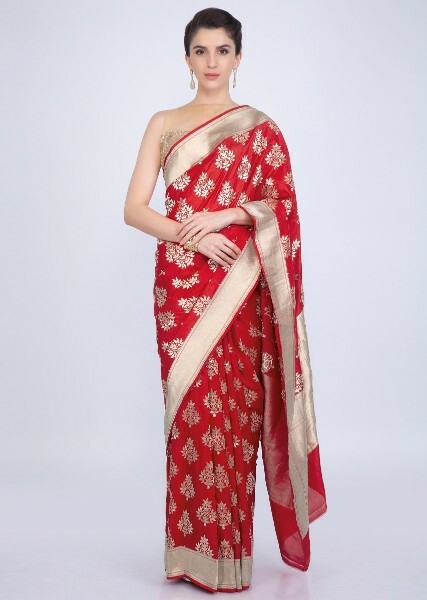 Its adorn in floral butti all over along with a contrasting gold border highlighting its look. 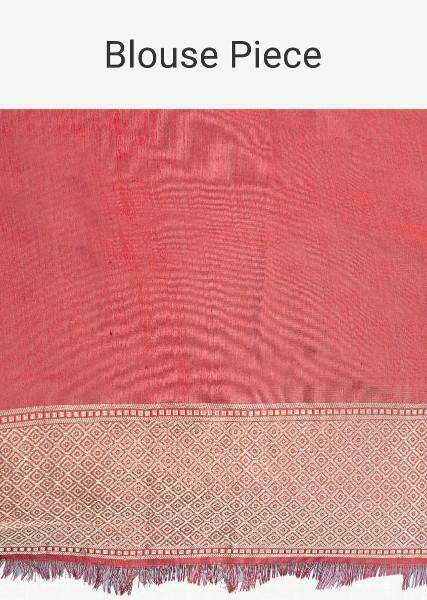 It comes with a matching unstitched plain silk blouse.